Fashion, as we know, does not stand still. It affects all aspects of our lives. And it is not surprising that today, more than ever, popular low-growing flowers for the flower beds. They have many advantages and, in all fairness, are increasingly replacing the high-growing plants. They now can be seen on almost every flowerbed. Fortunately, the range of colors quite diverse and includes both annual and perennial species. We'll show you how to create an original flower beds and care for them in the future. dwarf Astilbe and other perennials. Entrenched them on your site, you cana few years to enjoy the fruits of their labor. 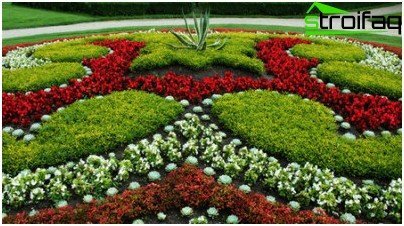 Moreover, these flower arrangements can be used for decoration of flower beds and borders. They can also make a variety of edging. One of the first plant, which animates perennial curtain is primrose. Plant height of 20-25 cm. Her crimson, white, yellow, red and pink flowers in the form of inflorescences can be enjoyed for a long time. If their right to water, the evening primrose will grow from April to early June. Since May, begin to bloom phlox. Their gorgeous large florets are arrangedthick that completely cover the leaves. When decorating flower beds use subulate phlox, height 10 cm. Phlox Douglas different dwarf the size of 5-15 cm. The colorful palette of delicate plants include pale pink, purple, and (rarely) purple. you need to start working with the approach of autumn withbiennial plants. They are sown or planted even before the first frosts. Why? For a time, until the snow falls, they should increase the root system and develop a rosette of leaves. When spring comes, they start flowering. These flowers are known to almost all. We are talking about daisies, pansies, viola, and forget-me. If your flower bed is in the sunor in partial shade, then it will feel good and viola pansies. They must be watered frequently, though they are quite undemanding with respect to moisture. Planted in February-March seedling viols, summer delight its first buds. At the end of spring appear charming hats daisies - white, red, pink (with the proviso that the seeds planted in the fall). For nezabudok need shade and humidity. Under these conditions, it is touching to bloom from early spring to early summer. dwarf varieties of petunias, marigolds and many other plants. If your bed is located in a sunny position,then it can be ageratum Houston -. 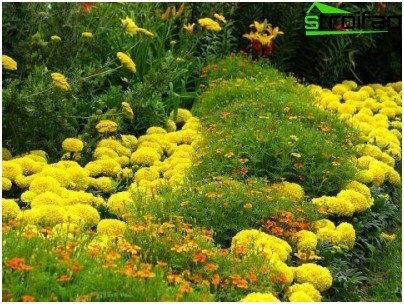 small plants up to 20 cm Its amazing inflorescence form lush colorful pillows. 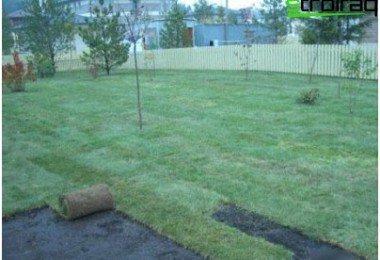 The plant grows rapidly and covers are all the empty space in the garden. It does not require greater attention, but only regular watering and an abundance of sunlight. If you stick to this, the white, purple and blue flowers will delight you from June until October. Many people know the widespread (and this does notless charming) flowering plant petunia. It can be ampelnye and bush. 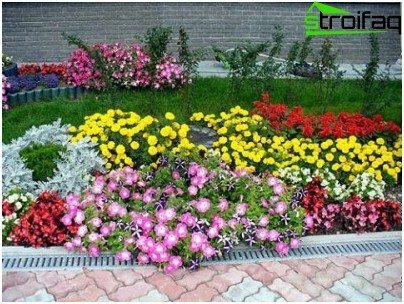 Both types are suitable for the decoration of flower beds. Sectional views can be with large flowers and a variety of colors. Recently planted in the streets, but they are easily damaged by rain, which is not the petunias with large flowers. All the plants are in need of attention - obligatory to feed and regular watering. Regular maintenance is necessary for any plant. Only then they will have a beautiful and healthy look. 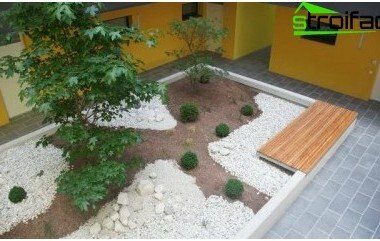 That includes general rules care for flower bed? Remember that each species of plant has its own characteristics and order maintenance. 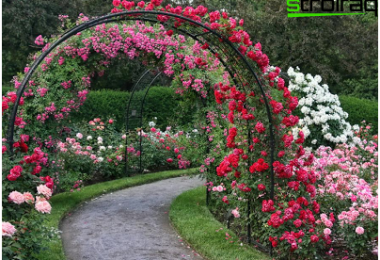 When care is important to keep undersized flowersthe main condition - to maintain the desired height. If you take care of the plant is not correct, it can stretch due to the strong growth of the shoot. 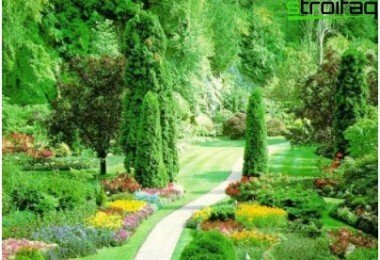 It may also occur build a large mass of green leaves, which has a negative impact on the properties of decorative flowerbed. This usually happens when the flowers are intensely fed nitrogen fertilizer. 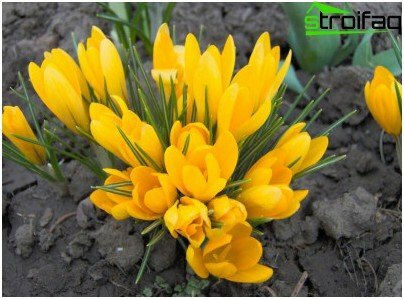 Therefore, preference should be given to those who do not stimulate the growth and bloom. Do not go on about a common misconception that you need to feed the flowers as much as possible. Among the reasons for which the plant canstretch skyward - a lack of light and too thick planting. This situation occurs when the wrong selected assortment of flowers planted on the shady flowerbed and partial shade. Creativity - the process fascinating and oftenassociated with risk. But without life experiments would not have progress! 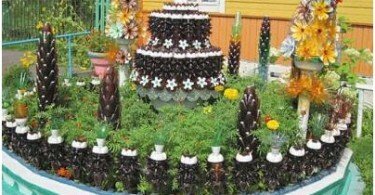 So do not be afraid to dream and apply to their combination of flower bed plants. 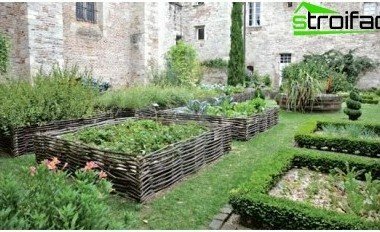 It is possible to plant annual crops near the perennial or biennial, and perennial - a biennial. For example, at the edges, place the annual and biennial species - aster, viola, dwarf tagetesu deviation simple or terry marigold, begonia. And in the middle position the perennial flowers - zhivuchka, young, edelweiss, host stahis, periwinkle, chickweed, etc. 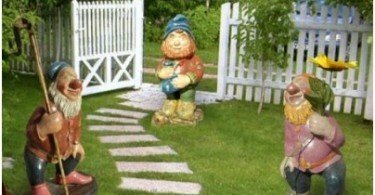 A little bit of knowledge, imagination and effort - and a flower bed will be your achievement and pride. You will succeed. Good luck!